Ooh you got yours already? That means mine should be coming in soon too! :DD Although...I will admit I did listen to it already. It does have some good tracks but a lot of it is totally forgettable. Overall it's a decent album. Yep! I received a signed poster, too! (I thought I wouldn't end up getting one as I didn't pre-order the album when it first became available for pre-order). That's so awesome! I hope mine comes with a poster...hopefully. Too bad the cat isn't included. Watch these guys: And tell me opinions! Nope, still busy with listening to Helvetios which is going to belong to my favourites of 2012. Sime Koch leaves Eluveitie, and replaced by rafael Salzmann. I am still in love with A Rose for Epona and Alesia! Saw them last week (with Sabaton) and they played them both! Why is 90% of their set made out of Helvetios songs? I get it, it's their last album and they're promoting it, but enough is enough, they have four more awesome albums behind and there are barely 2-3 songs from a whole discography. About 90% songs were from Helvetios? If they are coming to Finland with setlist like that, I'm not sure if I wanna go. Maybe it's 75% when they have more time as headliners, but as support act they're giving up the older songs instead of the Helvetios songs, so it does rise up to almost the whole set. I hope she gets well soon and she's able to do the European leg of the tour, things wouldn't be the same without her! 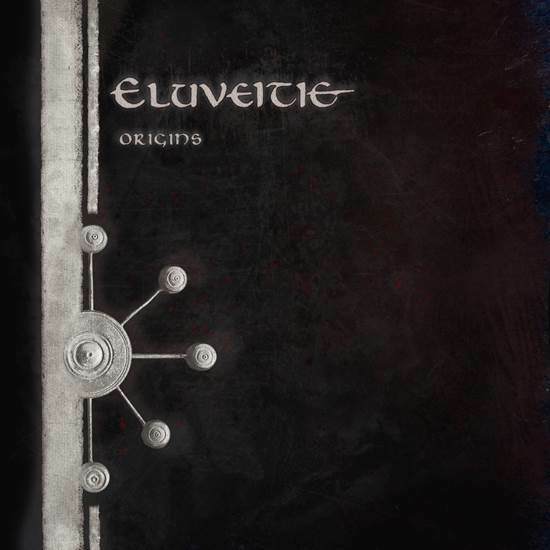 Eluveitie is one of my favorite bands, but as many of you said, last cd was not very good at all. I prefer Slania and Everything ramains as it never was. She has been sick quite long. Since December, right? I saw them live last night, and while I had a lot of fun and they were really good and energetic and full of good vibes as always, I'm a bit disappointed they didn't even try to replace Anna. Chrigel did all of her parts and it was a bit monotonous without her, her vocals added a lot of colour to the band. They could've tried to have another girl sing her parts. The setlist wasn't brilliant either, but then again I already knew it was going to be mostly stuff from the last album. At least they played Inis Mona, which was SO AWESOME! Everyone was singing and jumping and headbanging, it was a lot of fun. I however, will be quite happy with a Helvetio-heavy set. I actually really like that album, whereas I find there are only a couple songs of Everything Remains that I really love. That's sad, i liked Meri, she was always so cheerfull and bouncy on stage. New album "Origins" will came out in 5th August. So excited about this one! Not much of a fan of this band but I really like their music. They are also touring in Europe with Arkona but not in Finland. Well, better luck next time I hope.